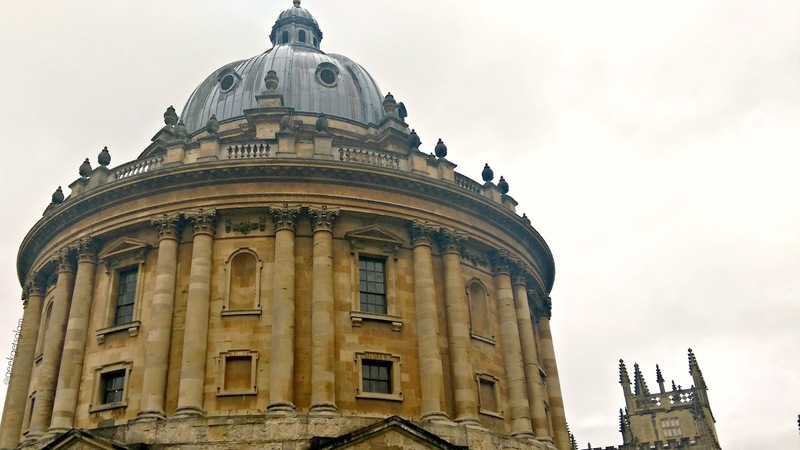 I think it is very hard to beat a spontaneous day trip to somewhere new, and this happened to me last week when my friend Charlotte and I decided to take a drive down to the beautiful city of Oxford. I had never been to Oxford but was quite excited because one of my favourite book series had a section set in the grounds of Oxford University (the book series is His Dark Materials by Philip Pullman if you're curious), and I had always been intrigued by the architecture of the place - especially since the Harry Potter films came out! It was also the inspiration behind Lewis Carroll's Alice's Adventures in Wonderland as he studied maths at the university. 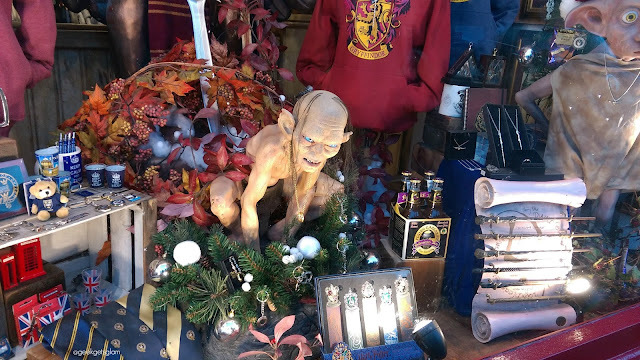 So, for a book nerd like me, Oxford seemed like the ideal place to potter around in. We split the day into two halves; Shopping/food and 'sightseeing'. 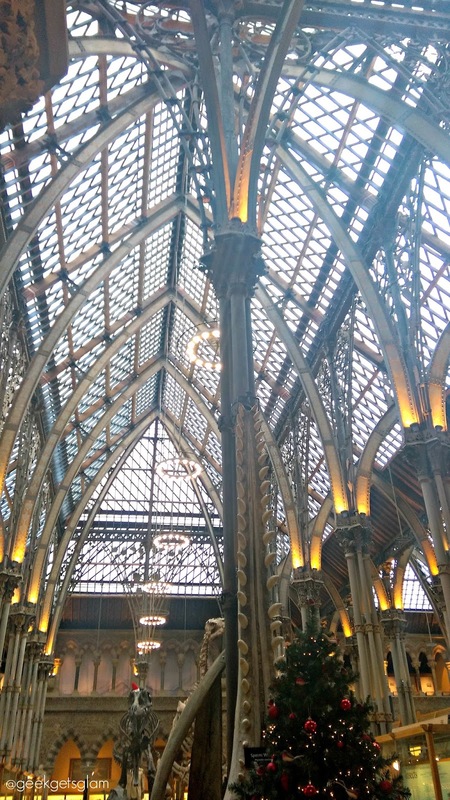 The high street of Oxford is pretty modern, but if you look above the shops you'll see some gorgeous old buildings with beams that remind you that you are strolling down a street full of history. Shopping is good there and there is a huge selection of shops, but I felt like the town was a bit of a maze with many side streets leading to what seemed more shopping centres! It can be a little confusing until you get your bearings. I ended up spending more than I thought I would which is always a sign of a good shopping spree! One of the lovely assistants in Lush Oxford directed us to Radcliffe Square which was beautiful - it felt like you had stepped into Hogwarts! We also found the Vaults Cafe so we stopped for a spot of lunch. I cannot recommend this little cafe enough - the service was fantastic and the food was delicious. The cafe is set in an old Congregation House giving a unique atmosphere to your lunch experience. 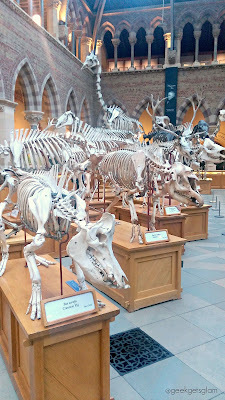 After lunch, we headed to the Oxford University Museum of Natural History. This place was spectacular, and quite a hidden gem if you love museums! 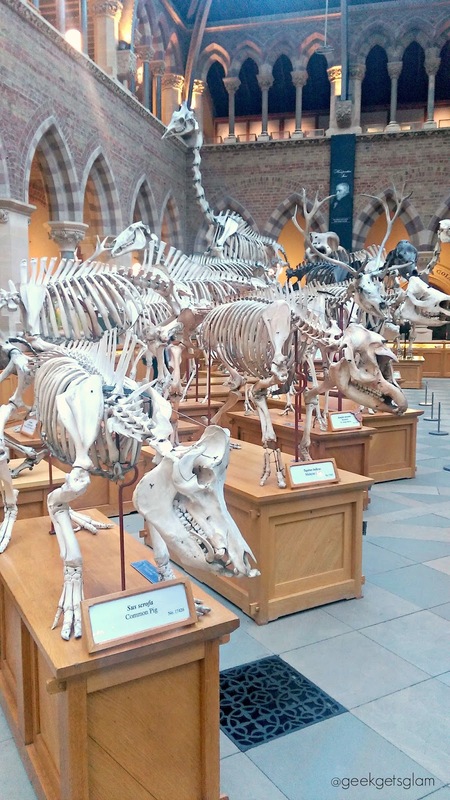 It is quite a small space, especially comparison to the Museum of Natural History in London for example, but it is still packed with wonderful exhibitions to entertain all. I loved how close you could get to everything on display; some you were allowed to touch making it a much more immersive and interesting experience. I have to say, I'm a little smitten with Oxford. And, not going to lie, insanely jealous of anyone who gets to study at any of their universities. It is such a great day out and an easy drive from the Midlands, there is no excuse as to why you can't take a trip there and spend the day exploring. I promise you, you'll love it! Ohh yay I'm going to Oxford for the first time in April and very excited about it! Love these English University towns!